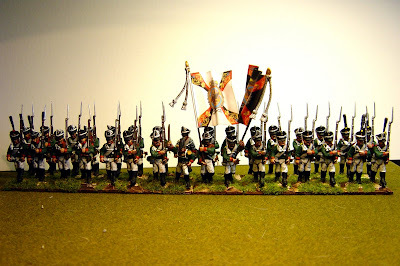 Anybody who regularly reads this blog will probably remember that the Napoleonic project involved Prussians. Well, it will, in due course, but I have been side-tracked into buying some new plastic Russians from Warlordgames. Four boxes to be precise and here is the first box done - the 1st battalion of Arkangel'gorod' regiment. Gorod, in Russian, just means 'town' so this is the Arkangel regiment from the 8th division. Firstly, the figures are not bad at all. The box comes with seven sprues of plastics (each with 4 figures) plus four metal command - a drummer, officer and two standard bearers. 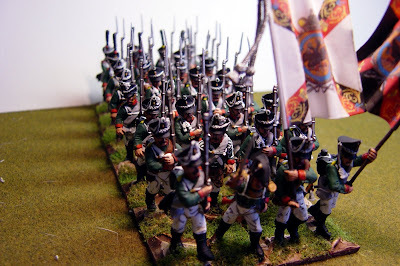 While the plastic figures have the normal problem of loss of definition on their sides they are nice and animated and each sprue has musketeer heads as well as grenadier heads. Actually I think the plastic figures are rather nicer than the metals which are crude. There is also a decent little sheet of flags for five regiments and it was seeing Arkangel's flags that made me do this regiment although I will not be doing all the other regiments from the 8th Division. 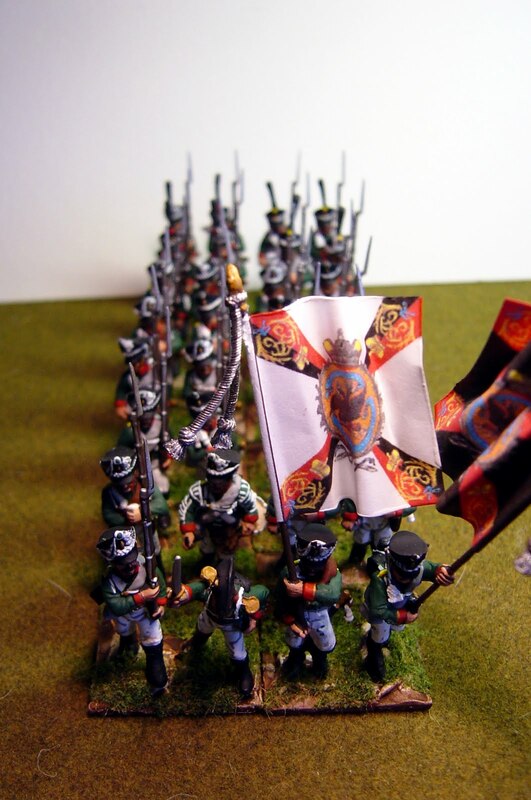 I have decided to allow myself artistic licence and just to do four regiments whose flags I like! 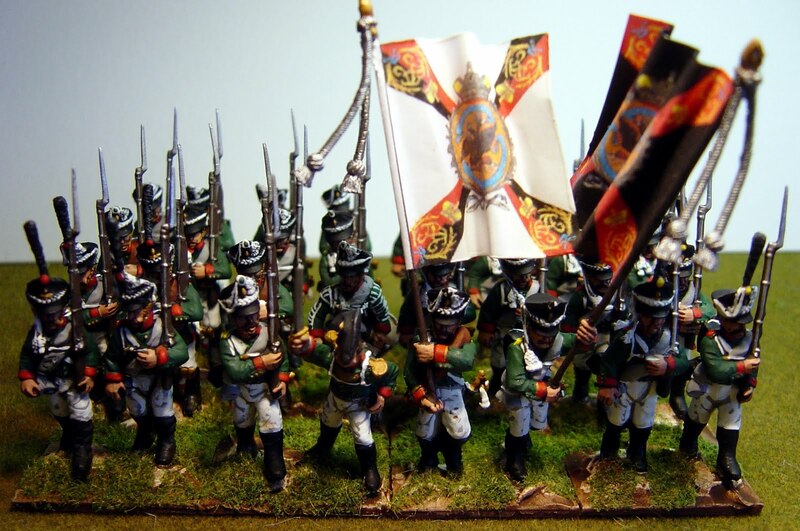 I plan a fictional division of 12 battalions to face off against my 10 battalions of French, more pictures of which will be on here soon. Don't forget that next year will be the 200th anniversary of the 1812 campaign! Wow! ... Those look great. Excellent work. They look a fine body of men, who may or may not go stomping on the French. I'd do exactly the same about which regiments to paint, its always nice to pick the regiments that look the best and some of the Russian flags look fantastic, this regt's certainly do!